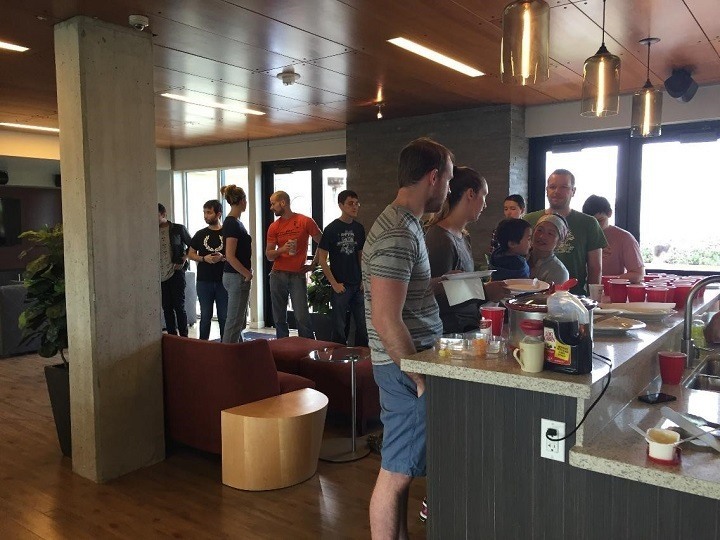 Eric's Famous Pancakes were a hit! 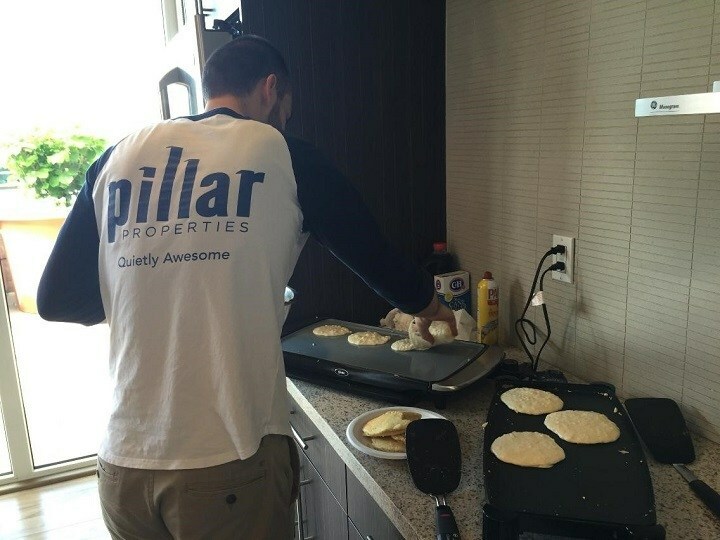 Residents at The Century woke up to the comforting smell of freshly cooked bacon Saturday morning and headed to the 9th Floor Hub to find Eric, our assistant property manager, slinging pancakes like a pro. These are not just any old pancakes, these are Eric's very own super special, award winning, to die for, made from scratch from a secret family recipe pancakes. OK, maybe we got a little carried away but they are some dang good homemade cakes. And they are really tasty! 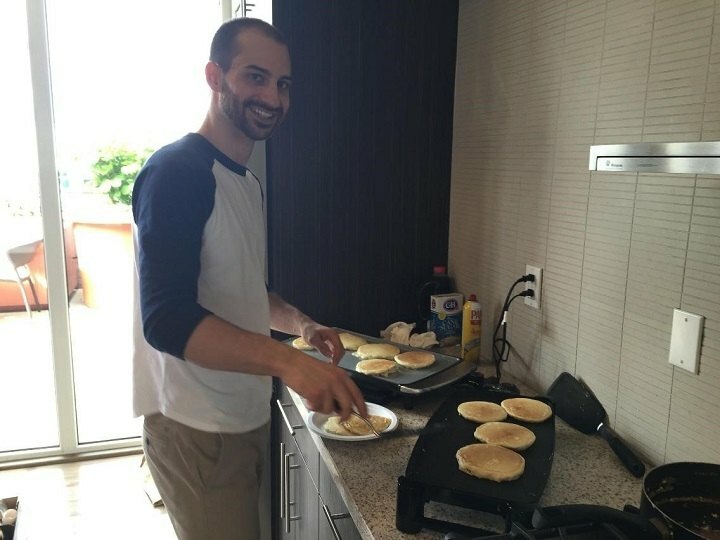 Residents sipped coffee and morning mimosas and lined up for a full breakfast cooked by The Century team and while Eric was happy to share the fluffy pancakes he was not as willing to share the recipe…it really is a family secret! 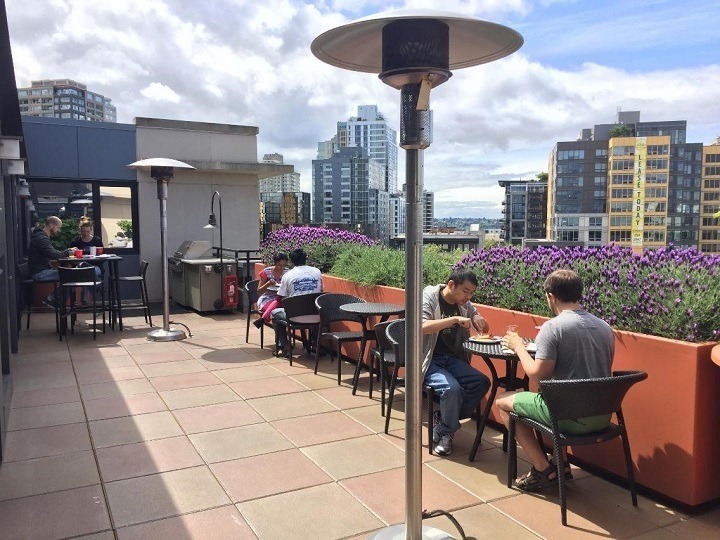 It was a beautiful Saturday morning in Seattle and many residents enjoyed their breakfast on the deck, a perfect way to start off the weekend.